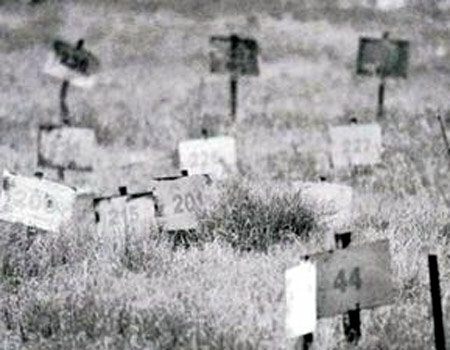 (photo: numbered graves in secret cemetery in Israel) Independently of the recently published article of the Swedish journalist Donald Boström about the Israelis murdering Palestinians in order to harvesting of organs for sale, and independently of the hysteric screeching and denials by the Israelis, I want to present my readers what I witnessed, saw, observed and heard during my 22 years of journalistic work under the Israeli military occupation in the West Bank and Gaza. My personal experience confirms what Mr. Boström wrote: while I do not know the particular case which he describes, it is typical for what the Israelis do in Palestine all the time, what is “normal” since the early seventies. The Israeli military occupation started in the early 1970s to capture and keep the bodies of the Palestinians who they murdered. Since the early seventies, thousands of Palestinians have been buried in secret and number graves of the Israeli military. Since the early seventies, thousands of Palestinian victims of the occupation were “autopsied”, and many of their bodies kept in military numbered graves. Most members of the resistance who were killed were taken for “autopsy”, and also those who were wounded were abducted from the hospital by the Israelis. This practice became somewhat less widespread only when the PA came to power, meaning that people murdered in areas controlled by the PA were not “autopsied” any more, but this would still happen to people murdered or wounded in areas controlled by the Israelis. The Israeli military leadership, the Central Command and the so-called “defense” Ministry cannot hide these well- and widely-known facts: the Israeli military murders people all the time, and most if not all of the murdered are taken for “autopsy”, many of them are buried in Israeli military cemeteries in numbered and secret graves. These facts cannot be hidden by the fancy statements issued by the Ministry of Foreign Affairs of Israel, by the deranged terrorist and war criminal Ehud Barak and the corrupt extremist Benjamin Netanyahu. In many cases, the so-called “civil administration”, military commanders and officers were returning to their families the bodies of Palestinians who they had murdered after the middle of the night, and after a few days “detention” of the bodies. The military officers would call the families of the victim after the middle of the night (usually at 1-3 in the morning), demanding that a few relatives, “not more than 10”, wait on the street for burying the body. The first condition of the military “civil” administration was that the burial should take place immediately after receiving the body, in the dark of the night, for “security reasons”, the second condition of the Israelis was that women should not participate in the secret funeral, also for “security reasons” (actually they wanted to avoid that the screams of grieving mothers, sisters, daughters of the victim would be heard, so alerting the neighbourhood to the crime). The Israeli officers always used “security reasons” to justify and cover up their criminal activities! 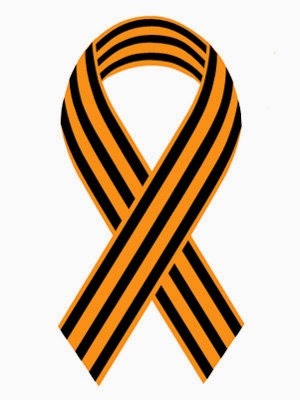 On each such occasion returning the body of one of their murdered victims, the “civil” military administration officers would follow the funeral procession, driving their armored grey cars and waiting until the end of the burial. A number of other military vehicles filled with soldiers would surround the funeral, watching the burial of their victims, always ready to shoot the small number of participants in the funeral. Of course, the officers would always insistently make it clear to the family that they were doing them a great favor in returning the body of their beloved one and allowing them to bury it. What is the reason to bury somebody in middle of the night, with a company of IDF soldiers and the Israeli military “civil” administration officers surrounding the procession? If the burial is normal, and the organs of the victims were not stolen, then why should they be buried in the dark of the night? The families of the victims all knew that they were receiving empty bodies, filled with cotton, to be buried in the middle of the night. One fact for Ehud Barak: near the end of the first Intifada, after the start of the so-called Oslo peace negotiations, the brother-in-law of one of my paternal uncles was murdered by the Israelis at the Qalandia checkpoint, he was returned to his family stuffed with cotton some days after the incident. My uncles relative, Monzer Naji Rashid Abdullah, was a small transportation entrepreneur; he was not involved in political activities of any kind. He was murdered on 14 April 1991, two days before Eid Al-Adha, a festivity comparable to Christmas. As a result of his to date unpunished murder by Israelis manning the checkpoint, his wife and children were reduced to dependency on charities. 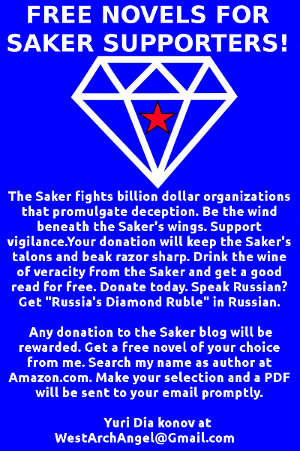 The deranged war criminal Ehud Barak and his corrupt “state” should better stop denying what the Swedish writer Donald Boström published in Aftonbladet. I personally was witness of the Israeli soldiers and military vehicles kidnapping the bodies of dead Palestinians from the emergency rooms of hospitals, in some other cases I saw the soldiers following the Palestinians to the cemetery, to steal the body from the family before the burial. This vile practice became so widespread that many people started carrying the bodies of the murdered to be buried at home, in the garden, under the house or under trees, instead of waiting for the ambulance to take them to the hospital. The Israelis always murder or gravely injure some people at demonstrations, and first the Israeli soldiers themselves would take the bodies, then they would besiege the hospitals where the bodies were taken by Palestinian ambulances – finally people present at demonstrations started taking the murdered and injured directly to their families. Everybody in Palestine knows that the Israeli soldiers besiege the hospitals in order to kidnap the bodies. The most disgusting thing I witnessed was when the criminal soldiers of Barak and Netanyahu were following Palestinian funeral processions to the cemetery to kidnap the bodies. The issue of stealing the Palestinian organs is known to everybody in Palestine. I reported several times about this crime. In many cases my reports were rejected by the criminal military censorship of the occupation, these reports are until this moment stored at the military censorship office in “Bet Agron” in occupied Jerusalem. I know that the criminal “state of Israel” was harvesting the organs of Palestinians who were kidnapped by the Israeli military from the emergency rooms of the Palestinian hospitals in Hebron, Nablus, Ramallah, Jenin, and everywhere in the West Bank and Gaza, and transferred to the Israeli hospital (or rather, butchery) of Abu Kabir in Tel Aviv. The families of the victims know the criminal israeli officers of the so-called “civil administration” who were covering this crime. Everybody knew Captain Eyal, Col. Fuad Hahul, Col. Amnon Cohen (now head of the “infrastructure department” of the “civil” administration in occupied Palestine), Rafi Geoli, “Alex”, and many other officers whose name I don’t know, but who were always present. Everybody knew the higher commanders, above them brigadier general (res.) 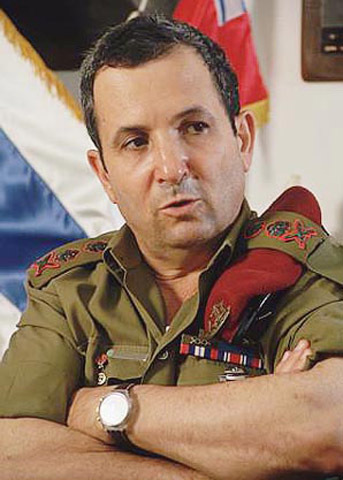 Gadi Zohar, (former head of the civil administration, and IDF intelligence officer for 30 years), brigadier general (res.) David Shafi (former head of the civil administration), Maj. Gen. Gadi Shamni (former IDF brigade in Hebron and the current head of the central command), Col. Baruch Goldstein (formerly with the IDF “civil” administration in Hebron and currently with the municipality of Jerusalem), Lt.Col. Baruch Nagar (former head of the civil administration and the current head of the water administration for the West Bank and Gaza), Col. Yigal Sharon, (former brigade of Hebron and the current, Coffee Salesman), Brigadier General (res.) Dov Sedaka, (former head of the civil administration and the current head of the zionist Chairman of the steering committee), Maj.Gen. Matan Vilnai, Brigadier General Noam Tivon, Col. Yehuda Fuchs, Lt. Col. Udi ben Muha, the military commander of Hebron, and others. And everybody knew that these people were involved in the harvesting of organs of their victims. Captain Eyal, Col. Fuad Halhal, Col. Amnon Cohen, Rafi Geoli and many of those mentioned above and many others were the ones calling the families of the murdered Palestinians, in the middle of the night to inform them about the bodies of their loved ones. These criminals were telling the Palestinian families that they “had worked hard to make it possible to release the bodies of their relatives from the military headquarter” – implying that it was a favor, and that the military commanders Shamni, Goldstein, Nagar, … had ordered that the bodies should be buried in the dark and that “not more than ten persons” were allowed to be present at the funeral. Often the relatives of the murdered people were screaming and shouting, as they had received an empty body stuffed with cotton. These criminal officers and their soldiers forced them to shut up. All this criminal activity is not only a clear violation of the human rights, a horrendous crime against humanity, but a disrespect of the sanctity of life which can only be explained with mental deficiencies of the perpetrators. If Israel did not steal the ORGANS of the murdered Palestinians, and if Israel did not want to cover up their inhuman crimes, and if Israel respects the Geneva conventions and other humanitarian laws, in peace and in war, then Israel would not kidnap and transfer to the Abu Kabir “hospital” in Tel Aviv hundreds, perhaps thousands of Palestinians bodies of people who were murdered during PEACE demonstrations in the cities of the West Bank. If it is not true that Israelis are harvesting the organs of murdered Palestinians, then why were they transferring the bodies of their victims to be butchered at Abu Kabir? The reasons of the death were known. The victims all received bullets in the head, or in the chest by Israeli snipers. After all the whining and screeching of the Israelis after the Swedish newspaper article, the fact stands that hundreds, perhaps thousands of bodies and even people known to have been alive were transferred to the Abu Kabir autopsy center and returned to their families stuffed with cotton. Hundreds of victims who were buried in the dark by their families, and hundreds or thousands more bodies which Israel keeps in their numbered graves. During the first Intifada and during the so called peace time I personally witnessed how the Israeli military were kidnapping Palestinian bodies and gravely injured people from the emergency room of Princess Alia hospital in Hebron. Some years later I also witnessed how the Israeli army kidnapped the bodies of the Palestinian dead from the then new Al-Ahli hospital: All the area would be declared military zone, the hospital surrounded and invaded by troops, nobody was allowed to move inside the building. All these kidnapped bodies of Palestinians, and also people known to have been living, were killed before taken to Abu Kabir for “autopsy”. All the Israeli officers and civil personnel of the so-called civil administration who served in the West Bank since the early seventies were involved at least covering up the harvesting of organs from Palestinians, at the very least conniving, but probably taking part in the racket for money. All the Israeli doctors and other personnel who worked in Abu Kabir since the early seventies were involved in harvesting and selling organs from Palestinians. All the IDF snipers and other soldiers who shot Palestinian (and foreigners) at peace demonstrations are and were involved with the mafia which harvests and sells the organs of murdered Palestinians, at least some of the involved in the crimes are given money. The IDF central command and most if not all officers in the chain of command until the field fully know what is going on, and they connive with the harvesting of organs from Palestinians they murder, they offer planning and logistics for the commission of the crimes, and make the families of the victims shut up. All the Israeli State and the whole Israeli Nation who accept the continued military occupation are involved in crimes against humanity. Most if not all the Israeli medical establishment knows what is going on, and they keep silence because they either get money, or they are rewarded in other ways for conniving in these crimes. This is confirmed because of repeated complaints of doctors from other countries because Israel is one of the few jurisdictions which does not forbid commerce with human organs and body parts. 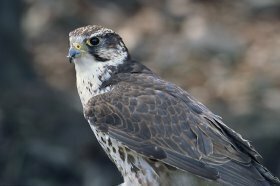 The Israeli health ministry is fully informed of what goes on. This would be corroborated by reports that organ traffickers captured in Brazil and South Africa in 2003 stated as much as that they had been given “business contacts” by “people from the Israeli government”, and that the Israeli government financed organ transplants. Where are the bodies of the two brothers Imad and Adel Awad Allah from Al-Bireh in the district of Ramallah, who were murdered on 10 September 1998 on the farm of Akram Maswadeh near Hebron? Where are the bodies of Hani Ahmad Kharboush and Adel Mohammad Hadaideh who were murdered on 6 June 2003 in “Ateel”, a town north of Tulkarem in the West Bank? Where is the body of Sarhan Borhan who was murdered on 4 October 2003 in the Tulkarem refugee camp? Where is the body of Hasan Isa Abbas who was murdered on 9 October 1994, in Jerusalem? Where is the body of Hisham Hamad who was murdered in Gaza on 11 November 1993? Where is the body of Salah Jad Allah Salem who was murdered on 14 October 1994? Where are the bodies of the two Japanese citizens who were murdered in 1972? Can Israel prove that the organs of these people, and those of the hundreds, perhaps thousands of Palestinians which are buried in numbered graves of the Israeli military, were not stolen? Why does Israel bury the victims of their occupation in secret, numbered graves, if their organs were not stolen? I know the answer of the criminal sophists of Israel in advance: they will say that all these people buried their numbered graves were “terrorists or unknown”. But I say that these are LIES and the usual propaganda which Israel uses to cover their crimes. Many people who were buried in these graves were not “terrorists” but legitimate resistance, many of them were peace demonstrators, and none of them were unknown. The only thing unknown or silenced until now is that the israelis are murderers, thieves of organs, a criminal occupational state which commits to all kind of crimes against humanity for fun and profit. Another issue about which the Israelis have some explaining to do is the story of three teenagers from Gaza. On the evening of Sunday 30 December 2001 the Israeli military occupation fired several artillery shells towards these three north of Beit Lahiya in Gaza. They were Ahmed Mohammed Banat, 15 years, Mohammed Abd El-Rahman Al- Madhoun, 16 years and Mohamed Ahmed Lebed, 17 years. After murdering them with flechette shells, a military vehicle drove over one of them, and their bodies were delivered to Abu Kabir in Tel Aviv, for “autopsy”, without the consent of their families, and without the issuance of a warrant to conduct an autopsy according to the law. The chief pathologist at Abu Kabir (the so-called “Israeli forensic institute”) Dr. Yehuda Hiss, said that they received the children without knowing their names, they had all been found killed by nails which the tank shell contained (flechettes). Hiss broke the law Israeli when he accepted the bodies of the children without knowing who are were and without the knowledge of their families, but that is of no concern. The bodies the three were given to the PA stuffed with cotton several days after their murder. The director of the Jerusalem Center for Democracy and Human Rights, Salim Khalleh, stated that their organization has been able to document 270 cases of Palestinian bodies “reserved” in hands of the Israeli occupation, which are buried in numbered graves in secret military cemeteries, or in numbered compartments of cooling facilities. 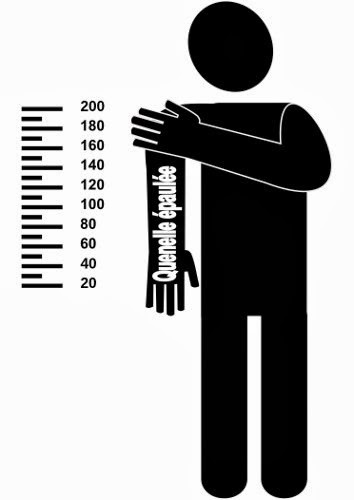 Among these cases, 24 are of Palestinian citizens of the city of Tulkarem. On 8 April 2009 the families of these persons whose bodies are still in the power of the israelis held a demonstration in Tulkarem. The demonstrators presented a petition to the director of Red Cross, in which they demanded that the international organizations make pressure on Israel to release the bodies of their sons. What follows are some of the names of Palestinians published by the Jerusalem Center for Democracy and Human Rights and whose bodies still in the hands of Israel, among other hundreds. The question is, where are these bodies? Are they in the refrigerated facilities, or were they buried in numbered graves after their organs were harvested? Why are they not returned to their families if not because Israeli crimes must be covered up? Abdel-Fattah Mohamed Badir – murdered near Jericho on 15-7-1975. Murad Mohammed Abu Assal – murdered on 30-1-2002. Sarhan Burhan Sarhan – murdered during the invasion of the Tulkarem refugee camp on 4-10-2003. Saif Allah Bashir Badran – murdered near the illegal Mawr colony on 1-1-2003. Adel Mohamed Hadaydeh – murdered in “Atteel”, a town north of Tulkarem on 16-6 -2003. 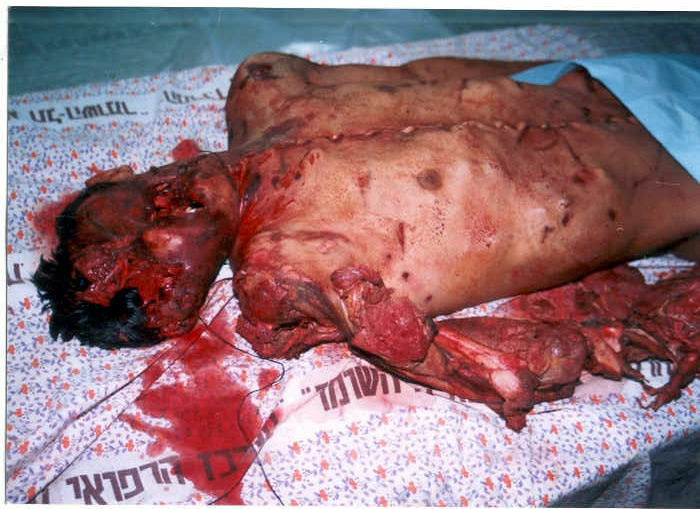 Tarek Samir Sfaqeh – murdered in the illegal Hermesh colony on 30-10-2002 . Faiz Mohammed Awad – murdered in Lebanon on 17-8-1967. Ramzi Fakhri Ardah – murdered on 3-4 – 2004 in the illegal Avnei Hefetz colony. Khalid Ahmed Abul-Ezz – murdered on 30-10-2002 in Zeita near the Apartheid wall. Khaled Subhi Sandjak – murdered in the illegal colony of Sha’ar Ephraim. Muaiad Mahmoud Salah Al-Din – blew himself up on 8-11-2001. 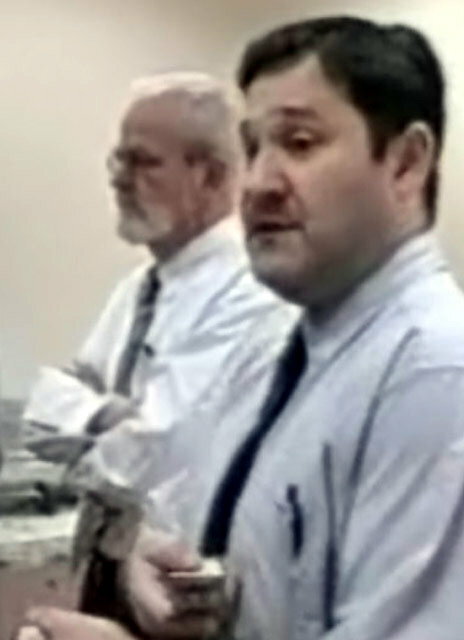 Abed El-Basset Mohamed Odeh – blew himself up on 27-3-2002. Ahmed Sami Gawi - murdered in Netanya on 12-7-2005. Ahmed Ibrahim Abed Allah – murdered in Jerusalem June 1967. 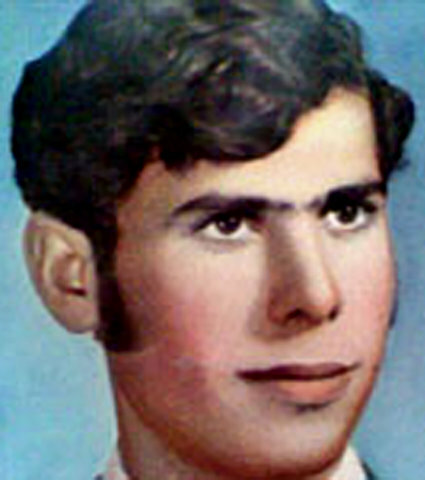 Iyad Naeem Radad – murdered on 15-7-1979 in Al-Zawieh near Salfit. Rami Mohammed Idris – murdered in Netanya on 31-3-2002. Mahmoud Ahmed Marmash – blew himself up on 18-5-2001. Mufed Mohammad Asrawi – murdered at Baqa Al-Garbiah on 21-2-2002. Muhammad Ali Abu Zeneh – murdered in the Jordan Valley on 12-5-1969. 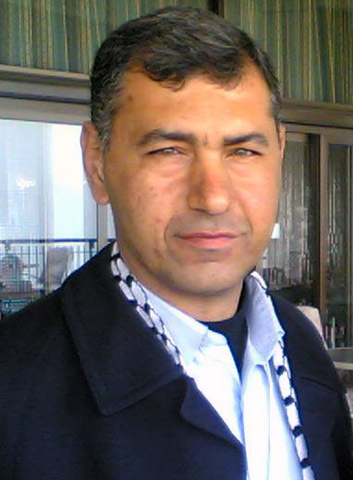 Lutfi Amin Abu Saada – blew himself up in Netanya on 25-12-2006. 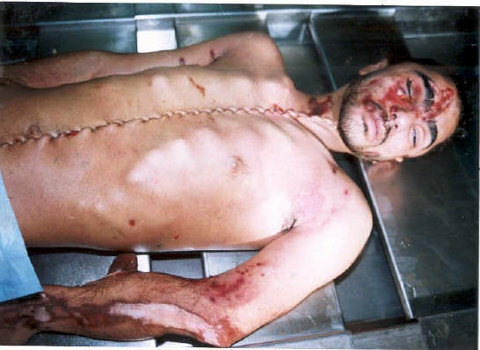 Omani Ahmad Kryosh – murdered in “Atteel” town near Tulkarem on 5-6-2003. Mashhour Aruri - murdered on 18 May 1976 together with other three persons from Lebanon. The bodies of 88 Palestinian from Gaza who are known to be in the hand of Israel (no names given). Abed Allah Kallab and his friends Mohamed Abed El-Qader Abu Al-Zulof and Mohamed Hanafi – all from the Rafah refugee camp, disappeared on 7 March 1988. Abed Al-Naser Ferwana, Director of the Department of Statistics, at the Ministry of Prisoners in the Palestinian National Authority, a former prisoner and researcher about Palestinian prisoners of Israel, a competent speaker for prisoners affairs, said that the number of Palestinian prisoners who were murdered after their arrest and detention in the Israeli jails sharply increased during the Al-Aqsa Intifada. They are in sum the double of the number of people who the Israelis murdered in a quarter of century since they occupied the West Bank and Gaza. The bodies of these murdered prisoners are also kept in the secret Israeli cemeteries, in a few cases the dead are released two weeks after the Israelis murder them. This is a new proof that the Israelis harvest their organs according to Ferawneh. The deranged criminal Ehud Barak, the people from the Israeli Central Command, the Minister of Foreign Affairs and the others involved in these subhuman crimes should stop threatening Swedish journalist Donald Boström with criminal complaints, as they are the first persons who should be investigated not only for these monstrosities, but also for war crimes, crimes against humanity, and genocide. The time of silencing journalists and curtailing freedom of speech is over. The public opinion of the world is loath the criminality of Israel and the repetitive and stupid screeching of “anti-semitism” whenever one of their crimes is uncovered. Constant and inappropriate invocation of the holocaust is boring to the point where nobody cares anymore, and it does not help anymore to cover up their crimes. The criminal sophists of Israel would better clarify were all these bodies are buried, and were their organs are. 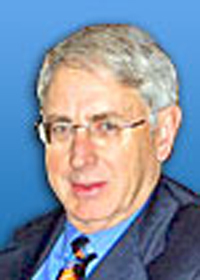 If the Israelis go forward and cause troubles for Donald Boström in court, I will volunteer to testify in his favor about these disgusting crimes of the Israelis, and I appeal to all Palestinians who have such a case in their family, to also offer to testify in favor of Mr. Boström should this become necessary. Iranian Guccis scream "death to Russia"